November | 2014 | this is thirty. *This will be a long post – mostly a foodie review at the end. If you get bored, peace be with you. Yesterday was a pretty good day, though it didn’t quite start out as such. I woke up, and my husband said that he would go down and make us breakfast so I could stay upstairs and relax, in hopes of not getting sick. He’s pretty wonderful. So when breakfast was ready, I headed downstairs. He made scrambled eggs with pepper jack cheese and dill, along with some toast on the side. YUM! So we sat down in the dining room to eat, and all was well. I ate about half of the scrambled eggs and a bit of the toast, and then had to stop for a second. My husband can now tell when I’m having a wave of nausea. I usually tap my fingernails on the edge of the table as a distraction to thinking about my stomach. It helps me get through it. Only this time, I didn’t get through it. 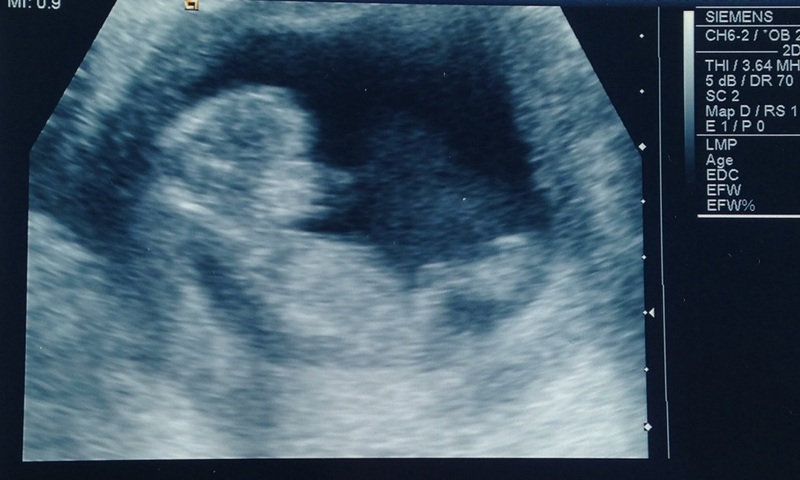 So now, I can cross scrambled eggs off of my list for the rest of my life (or at least the remainder of this pregnancy). Of course, after that happens in the morning, my whole day is generally shot. If I have to go to work, I will certainly go, but I am the most unproductive person and am not my normal, cheerful self. Yesterday, we had tickets to a farm-to-table dinner/ craft beer tasting event at County Line Orchard with some of our friends. I was not about to give those tickets up (they were $55 each)! So, I basically sat around all day, took a few naps in preparation for the evening activities. The good news is that I made it through the whole night! Granted, I was quite tired by 9 p.m., but I made it without getting sick or even having to sit down! The funny part is that those $55 tickets included unlimited food tastings (which were pretty decently sized), and unlimited craft beers from local breweries. I walk up to the pop table and ask for a Coke like a 4-year-old (yeah, they didn’t even have Pepsi). She pours me a pop and then says, “That will be one dollar.” I just stared at her blankly. Then I said, “Oh. I will be right back – hopefully my husband has some cash!” Since he is always way more prepared than I am, he did have some money. Before he handed it over, he asked, “It’s Pepsi products, right?” And I looked at the floor and said, “Sure.” Granted, we were there with his best friend who works for Coke. He let it slide since there was literally nothing else I could drink. Still ridiculous that I had to pay for that. I felt like collecting as much craft beer as I could and finding something to store it in to make it worth our while. No problem though, the boys drank more than enough for all of us put together. So the food was AMAZING. I was a bit worried, because farm-to-table can sometimes be a bit weird (ingredient-wise, at least). So we started out with appetizers. Since it was at County Line Orchard, we had an apple tasting (honey crisp apples have never tasted SO GOOD!). After that, there were some pita chips and breads set up, followed by a bunch of locally made cheeses from local dairy farms. I was so impressed! Aside from the fact that I knew I couldn’t try the moldy-oldy cheeses that looked so good. There was one that actually said “penicillin” in the description! And another one that had pure lactate and cow’s milk. Mike was very concerned with what I brought back, but I think I stuck to the safe ones. If not, one piece of cheese isn’t going to kill me (us). The boys went to get the remainder of the appetizers. This included a pumpkin-sweet potato hummus (NASTY – I love hummus, but I have always been a hater of the sweet potato), an onion marmalade (not bad), and a green tomato chutney (didn’t try). CHEESE FOR LIFE! Promptly at 7 p.m., the restaurant booths were opening up for business with their samples! Megan and I started out at Strongbow while the boys held our table. Basically, you get in line in front of the restaurant’s “window” – behind the windows were the chefs for each restaurant, prepping everything in the giant kitchen. It was a very nice set up, in my opinion. So here is what they gave each of us from Strongbow: Chili-braised brisket tostadas w/ pickled tomatillo salsa (like a full sized tostada! ), and then a mini cup of Turkey Mulligatawny w/ apples & pumpkin. And the nice thing was that they allowed us to bring back extra servings for our husbands. Strongbow’s food was AMAZING! The tostada was fantastic (I went kind of light on the brisket because I didn’t want to mess up my stomach early on), but the lime salsa/ sour cream sauce was delectable. Also, the Turkey Mulligatawny was EXACTLY what I needed. It was a hearty, creamy stew with all good stuff in it. Baby definitely enjoyed it and I felt like I could finally keep something healthy down! Next window we went to was Rolling Stonebaker, since they were the only ones creating a wood-fired pizza. And I LOVE pizza usually depending on the sauce. What a let down. As we were standing in line, I kept smelling this terrible smell. I couldn’t even describe it, but I was praying it was the woman in front of us. WRONG. It was the pizza! Oh dear. Here is what they served us: Wood-fired pizza with maple-glazed brussels sprouts, candy onion jam, wood-roasted squash, and Italico cheese. So I can’t figure out what it was that smelled so badly (I know, brussels sprouts you would think, but I’m pretty sure that was not it), so I basically took one bite and was finished. I just couldn’t get over the smell. The crust was good, though! They also gave us a wood-fired giant meatball made with local pork, lamb, and bison w/ tomato ragu, whipped ricotta and basil-chili oil. I can’t eat anything with tomato sauce or I will vomit, so Mike has this. He said it was fantastic. Next was one of our favorite restaurants/ breweries that we frequent. 3 Floyd’s (Munster)! We expected the best, and they did NOT disappoint. They served us smoked pork shoulder w/ pork belly cornbread, cherry BBQ and last season pickled ramps (i.e. pork rinds). They also gave us a piece of apple, maple, and sage pork sausage. I didn’t try the pork sausage, but loved the pork shoulder dish! The pork belly cornbread that everything sat upon was savory – wish I could have managed to steal the recipe somehow. I always forget how much I love cornbread! Next was something that I was not even close to being interested in, but Megan and I got in line since the boys wanted to try it. This was from White Oak Tavern, and the dish was a savory sweet potato custard w/ fall vegetable salad, smoked vegetable broth & buckwheat crumble. I will never understand everyone’s obsession with sweet potato dishes in the fall. Just so gross. Mike really enjoyed the dish, so I will leave it at that. Saving the best two for last! The line was crazy long for the chicken and waffles dish from a restaurant called Valley Kitchen and Bar out of Valparaiso. Chefs Cory Muro & Jason Rudy were the geniuses behind this dish. It was a homemade belgian waffle (they had the sweet waffle iron right there so everyone could watch), butter, Sink’s Sugar Camp Syrup, with fried Amish chicken, Carbon’s Golden Malted Syrup, and a dash of hot sauce. Now, I have never had the pleasure of trying chicken and waffles yet. It has always been on my to-try list. So, the chicken basically melted in your mouth. That being said, chicken is usually a no-no for me lately, so I only had a bite so that I could take in the whole experience. It was by far my favorite dish. Mike went back to get me another one, and then I went back and asked if I could possibly get just the waffle. The head chef was SO NICE and held up an entire waffle asking if I wanted butter and syrup (they were cutting them in fourths to fit them on the mini plates). I love that I didn’t even have to explain my situation, they just buttered it up and handed it over! Granted, they probably thought it was for my kids, but I wish I could have told them that their waffles are the best thing I have tasted in the past three months! I think I will write them a thank you note. The awesome thing is that they won first place! Everyone got a voting ticket so you could vote for your favorite dish. So perfect. And finally, they opened up the dessert window at 7 p.m. This was from Valpo Velvet and consisted of Hoosier Honeycomb vanilla ice cream atop of an apple cinnamon donut, and everything was topped with a honey drizzle and sea salt. BEST DESSERT EVER. Sweet and savory. Loved the addition of the honey drizzle and sea salt – I am a big fan of sea salt in just about anything, but this is the second time I’ve had it paired with an ice cream and it is just exquisite. They even gave us a mason jar sample of the honey they used on our way out as a favor. We will definitely go back next year! A very well-planned event and evening – and it wasn’t overly crowded! Win Win Win. So the other day, I got home and grabbed the mail while my chili and velveeta dip was heating (this is a new craving for me). I find a pretty little Anthropologie catalog amongst the election day propaganda. Immediately, I threw everything else to the side. Grabbed my chili cheese dip and tortilla chips and Dr. Pepper. Started perusing the catalog. You see, sometimes, Anthro catalogs can be hit or miss. In this situation, I pretty much loved everything I saw. And OF COURSE I would. I’m 12 weeks pregnant. Why wouldn’t I love everything I saw? So I start figuring out what I can pull off being a near-future fatty. Good thing I like a lot of their cardigans and vest sweaters. They won’t be snug at all, and I would have a shirt underneath it. Win win. Mike gets home and I show him my shopping list. He says, “Normally, I would tell you to buy whatever you like. But this is pointless! You won’t even be able to wear those cords because your legs will be bigger”…. Uhhh, what world is he living in that he can assume that my legs will be enlarged immediately? I mean, sure, it is possible. I don’t exercise at all anymore, and walking up the stairs more than once makes me want to vomit. Maybe in my third trimester, food will actually be appetizing again and then I will be making up for lost time. But in my world, I still get a full stomach really quickly. I’m not going to start forcing food down my throat and make myself uncomfortable. My doctor told me NOT to do that, and basically NOT to listen to any of the fools who bother me about my eating habits. Oh, and something terrible that I have learned. Whenever I eat something sweet, I end up with this TERRIBLE aftertaste! I carry cinnamon gum with me everywhere now. So, we finally told Mike’s sister last night. And we will be telling more of his family members on Sunday. Pretty excited for that. I have another doctor appointment on Monday, November 17. Hopefully, that will be an easier appointment than the first one. Fingers crossed!